Born in 1939, near Rioche in Kham, Eastern Tibet, Akong Tulku Rinpoche was discovered at a very young age by the search party seeking the reincarnation the previous (1st) Akong, Abbot of Dolma Lhakang monastery near Chakdado, in the Chamdo area of Kham. The search party was following precise instructions given by HH the 16th Gyalwa Karmapa, Supreme Head of the Kamtsang tradition. Around the age of four, the child was taken to Dolma Lhakang to receive the spiritual and formal education necessary for him to be able to resume his work as Abbot later on. Dolma Lhakang was a monastery with some 100 monks and many associated small retreats and nunneries. Besides his religious studies, the young Akong also trained in traditional Tibetan medicine. As a teenager, he traveled from community to community, performing religious ceremonies and treating the sick. He then went to the great monastic university of Secchen, where he received transmission of the quintessential Mahamudra Kagyu Buddhist lineage from Secchen Kongtrul Rinpoche. His spiritual training as a holder of the Kagyu lineage was further completed under the guidance of HH the 16th Gyalwa Karmapa, who also certified him as a teacher of Tibetan medicine. Rinpoche also holds many lineage of the Nyingmapa tradition. Throughout this period he was treated with much reverence and respect. The 1959 takeover of Tibet caused him to flee to India, in an arduous, nine month journey as one of the leaders of a 300-strong party, of which only some 13 persons made it to safety in India. At one point, they were so hungry that they were obliged to boil the leather of their bags or boots to make soup. After spending some time in refugee camps, he was asked, along with some other lamas, to look after the Young Lamas Home School, in Dalhousie, NW India. This was a place where young reincarnate lamas from all the Tibetans could receive an education. Through the kind help of Mrs Freda Bedi, later to become Sister Palmo, he and Trungpa Tulku, Abbot of Surmang, sailed to England in 1963, to learn English in Oxford. Only the latter had a bursary and Akong Rinpoche worked for some years as a simple hospital orderly, supporting himself, Trungpa Rinpoche and Tulku Chime of Benchen Monastery in the small apartment they shared. The next 25 years (1963-1988) were spent introducing the West to Tibetan religion and some aspects of its culture. This served a double purpose: it began to make available to the world at large a wealth of material from one of Asia’s finest and most extraordinary civilisations. By so doing, it also ensured its survival and perpetuation as living tradition. This work was centered around the development of the Kagyu Samye Ling Tibetan Centre, in Scotland; the first Tibetan Buddhist Centre in the West, developed jointly by Dr Akong Tulku Rinpoche and Chogyam Trungpa Rinpoche in its first few years and thereafter by Dr Akong. Visited by people from all over the world, he made it first and foremost a place of peace and spirituality, with a strong accent on active, selfless compassion, open to anyone of any faith. In response to a growing demand for specific teachings from the Kagyu traditions, he invited its greatest living scholars and meditation masters to Scotland, where they taught its main meditation practices and philosophical texts. The ground was laid for the proper development of these teachings in the West when the Supreme Head of the Kagyu Lineage, HH the 16th Gyalwa Karmapa visited Samye Ling in 1975 and 1977. Dr Akong Tulku was then asked by the Karmapa to be the organiser of his 1977 6-month tour of Europe. Under the Gyalwa Karmapa’s guidance, Dr Akong Tulku established a traditional 3-year meditation retreat at Samye Ling and launched the construction of the Samye Project; the building of a major traditional Tibetan Buddhist temple and an accompanying College, Library and Museum. Phase 1 of the Samye Project consists of the temple, built entirely by the members of the Samye Ling community, under the active leadership of Dr Akong Tulku, who was often to be seen with a trowel in hand on the building site. The inside of the temple was exquisitely finished by a team of fine artists, sculptors, woodcarvers and other craftspeople working under the guidance of Sherapalden Beru. Sherapalden is one of the, if not the, finest master-artists of the Karma Kagyu tradition. The grand opening of Samye Temple took place on the 8th August 1988, with a commemorative plaque being unveiled by the XIIth Tai Situpa and the Rt. Hon. David Steel MP (now Lord Steel). Senior representatives of the world’s religions attended. During this period of Samye Ling’s development, various satellite centres and activities had come into being. Samye Dzong centres [premises without accompanying land] grew up in Belgium, Spain, Ireland, South Africa, Zimbabwe and the UK. 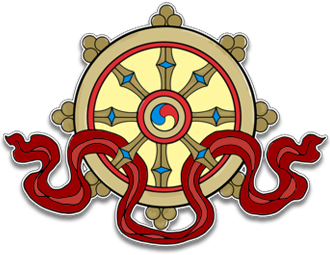 On another front, the interest which many therapists and physicians showed in Dr Akong Tulku’s medicinal and therapeutic Buddhist skills led to the development of a unique therapy system, now thriving as the Tara Rokpa Therapy. Dr Akong Tulku’s main activity in the 1990s concerned the expansion of his humanitarian activities, principally in Tibet and Nepal, but also in Europe, where he created several soup kitchens to feed the homeless in major cities. With tremendous vigour and diligence, he has brought well over 100 projects into existence, each project being a school, clinic, medical college, self-help program or scheme to save the Tibetan environment. These are mainly located in isolated rural areas of the Eastern part of the Tibetan plateau. In Nepal, working mainly through Rokpa International’s Vice President Lea Wyler, Rinpoche has established an important project, which feeds the hungry through the winter months. This has expanded to incorporate a children’s home, clinic, womenâ€™s self-help workshops and so forth. 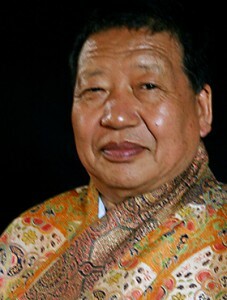 In 1994, Akong Rinpoche was one of the main people to discover the reincarnation of the 16th Gyalwa Karmapa and he played a very important role in first finding him, then taking him to the Karmapa seat at Tolung Tsurpu monastery and later arranging the visit of the two Regents — the 12th Tai Situpa and the 9th Goshir Gyatsabpa — who gave him the naming ceremony and later enthroned him formally as the 17th Gyalwa Karmapa, Urgyen Drodul Tinley Dorje. The increasing burden of his work in Tibet led Dr Akong to request his brother, the Ven Lama Yeshe Losal, to take over the running of Kagyu Samye Ling in Scotland. Lama Yeshe became the new Abbot and has since proved very successful, particularly in founding a strong monastic community there. Akong Tulku Rinpoche died in tragic circumstances in Chengdu, China on October 8th 2013. He has left behind a vast legacy of work which is now being diligently upheld by his followers across the world. Akong Tulku Rinpoche’s life and activities were the subject of a conference held at Oxford University in May 2014, where international speakers outlined the many benefits which his work brought to different areas of the world.